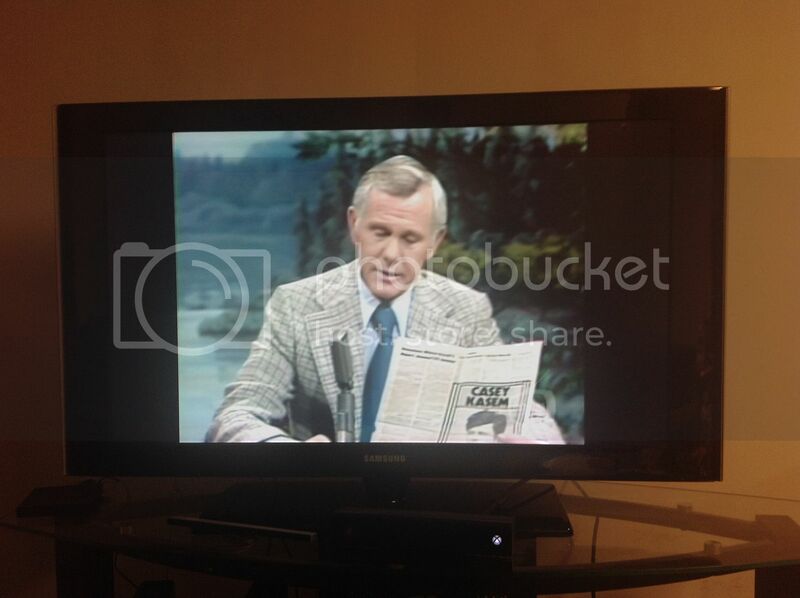 If you don't know AntennaTV reruns old episodes of Johnny Carson. Well tonight they ran an episode from 1977. Johnny had a page from Variety talking about the then up coming fall tv season. While reading the page look who is on the back of the page. I think this is kinda hilarious. I know Casey was featured on Jerry Lewis' MDA telethons a few times (Labor Day weekends), but this might have been as close as he got to being on the Tonight Show. Although I know he was on David Letterman's show.